Usually I don’t set much store in New Year, and I’m not the resolution making type – I figure that if you want to do something you just should, whatever the season. However, this year is already panning out to be quite different to the others I have spent on our fair planet, so I hereby christen it ‘the year of the game face’. Not because I expect it to be awful. Quite the opposite actually, but it will be new, and probably quite challenging, so insert game face here, I’m ready for you 2014. One thing I’m particularly looking forward to is growing this little blog. While I do I would love any comments, ideas or suggestions that you might have. If you like fabrefaction you can add it to your RSS feed, subscribe via email, or follow along with a WordPress account. My next job is to set up Facebook, so keep an eye out for that too. Oh, and if you make anything from the blog please show me, I just love to see it. Actually…to wrap up the festive season, I have a couple of projects to show you that brought a big smile to my face. 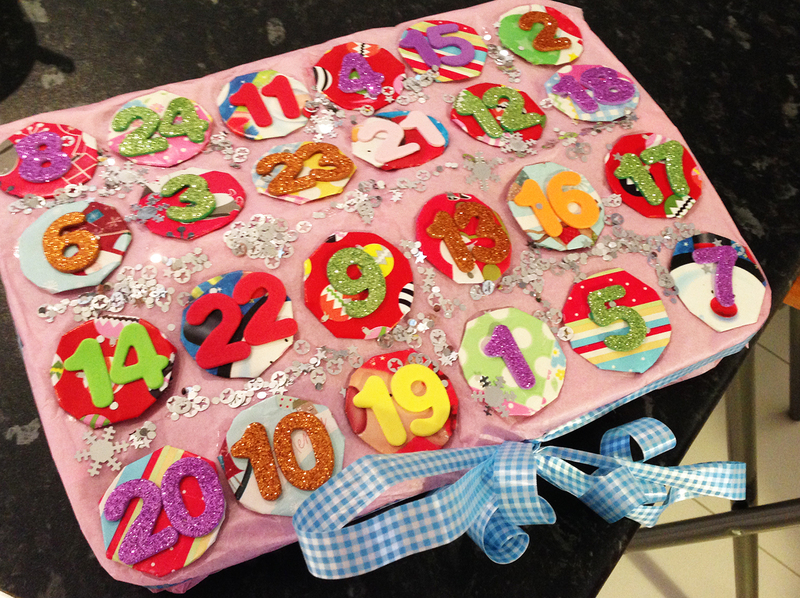 Above is Jane from Newcastle’s version of the Homemade Advent Calendar. 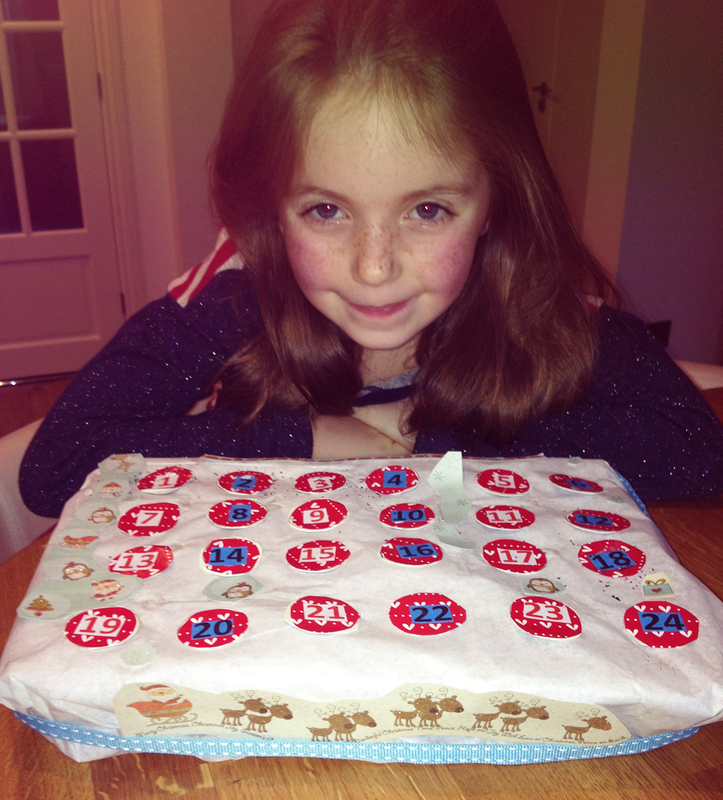 Jane sources a different advent calendar for one of her friends every year, such a lovely tradition, I’m very glad I could share a little inspiration! 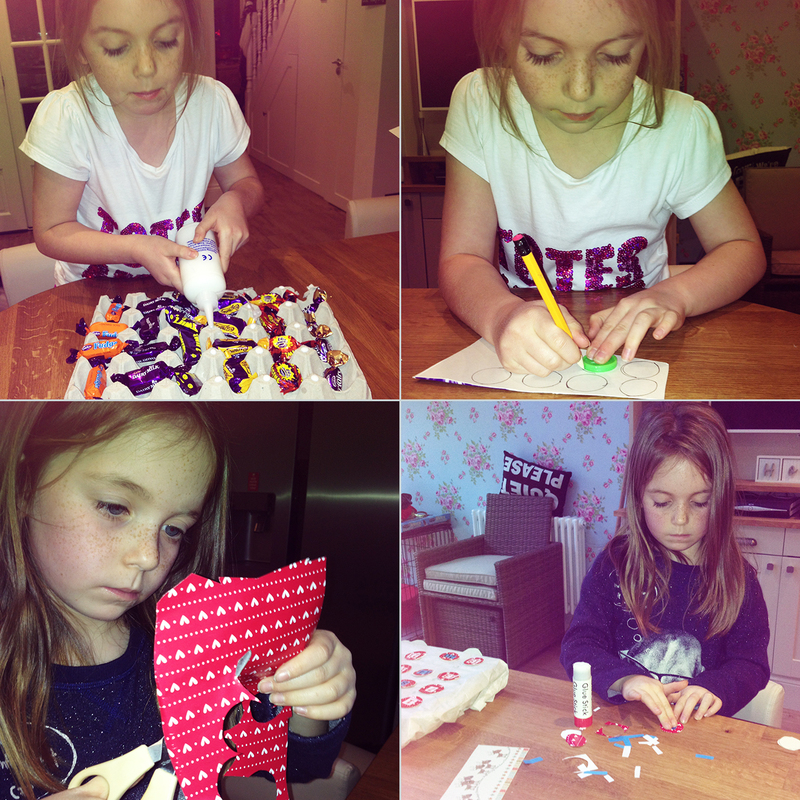 Below is gorgeous Miss Maija busily beavering away to make her calendar too. Maija lined up all her choccies by type so she didn’t end up with the same one two days in a row. Great idea Maija, wish I’d thought of that! That’s all for now, Happy New Year!